EDMONTON -- Alberta Premier Rachel Notley's government has launched its spring session with a throne speech lauding its accomplishments and a bill to further protect public health. Monday's throne speech, read aloud by Lt.-Gov. Lois Mitchell, was followed by the introduction of Bill 1, titled An Act to Protect Public Health Care. "We will continue to stand up and say no to American-style health care," said Mitchell in a speech read before legislature members and dignitaries in the main debate chamber. "And we will keep our hospitals and health centres available to everyone who needs them." 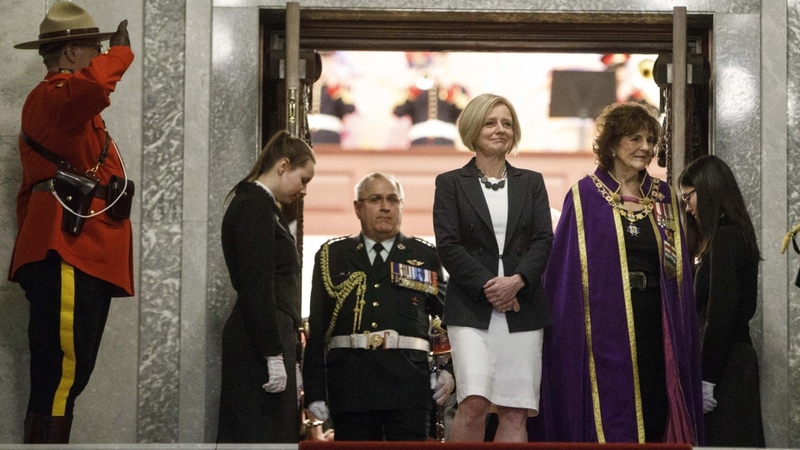 The throne speech focused on the accomplishments of Notley's government over the previous four years, from building schools, roads and hospitals to providing more supports for seniors, students and those in need. 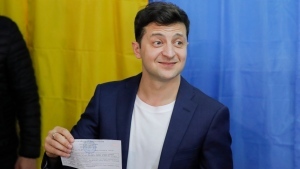 It also criticized the former Progressive Conservative government, and said the current government has been working to overcome the failures of the past ones. "We cannot -- we must not -- allow two different Albertas to form: one for the wealthy and one for everyone else," said Mitchell. The speech was followed by introduction of the health care act. Health Minister Sarah Hoffman said the bill reinforces the tenets of universal accessibility of public care, and said that under the proposed legislation clinics will not be allowed to charge membership fees. Hoffman said she wants to address concerns that such private medical clinics charge annual fees for access to non-insured services, but in doing so may also get their patients faster access to insured services. "We know of about 10 clinics that do charge up-front membership fees to access medical services and we don't believe that's fair," said Hoffman, noting the existing clinics are split between Edmonton and Calgary. "There is a perception that many people are able to queue jump in this province by being members of these private clinics." The Opposition United Conservatives have said they would explore more private care options to improve service under the public health care umbrella. Liberals say they believe in the public system but say there's too much administrative waste for a health system that occupies 40 per cent of total budget spending. "There's a lot of layers to this huge, 110,000-employee organization," said Liberal legislature member David Swann, who is also a medical doctor. "We need experts to go in there and look at where the waste is. But it's clear to me from talking to people on the inside that there's a redundancy in middle management." Hoffman also said the government is looking at measures to advance women's reproductive services. She declined to be more specific except to say, "I've heard from a number of people in many parts of the province that access is something that they care deeply about, whether that's access at the existing (abortion) clinics or in communities that don't currently have some." United Conservative Leader Jason Kenney said the throne speech said nothing about getting unemployed Albertans back to work. "It says nothing about a plan to get pipelines built, or to stand up for Alberta against Justin Trudeau and the left-wing special interest groups that are trying to landlock our resources," Kenney said in a statement, which ended with him calling on the premier to call an election. The session could end at any point as a provincial election looms. Notley is free to drop the writ at any time for a vote that must be held at or before the end of May. Her NDP have been advocating health care as a key issue in the election. They have promised to continue funding growth in the health system, despite multibillion-dollar budget deficits and growing debt.